CISPA has inspired the internet protest of 400 websites Monday, as groups like Anonymous and some subsections of Reddit are protesting the bill that could remove some legal barriers that currently prevent tech companies and the government from sharing sensitive information about web users. CISPA easily passed the house last week, despite strong opposition from privacy groups and President Barrack Obama, who is threatening to veto the current version of the bill, according to motherjones.com. Unfortunately for Anonymous, the group responsible for organizing the blackout, the protest of CISPA isn’t nearly having the anticipated affect since most of the companies protesting are small, according to the Huffington Post. The largest website taking part in the protest against CISPA is Reddit, and not the entire website is joining in the protest. Only certain subsections, which are controlled by users, are joining in the fight. Other companies not participating in the CISPA protest are internet big-wigs like Google and Facebook, whose businesses are not directly affected by the proposed restrictions in CISPA. The two companies fought SOPA and PIPA last year because those bills would have impinged on a user’s capacity to share illegal content, a bill that would have deeply impacted their businesses. This time around, CISPA only seeks to affect users and doesn’t cut into the profits of those large companies. 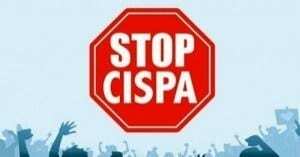 What do you think of CISPA. Vent your anger on our message board below.